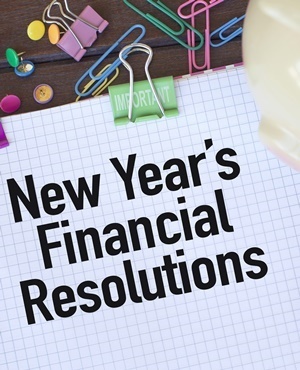 FIN24- If you’re setting your financial goals for 2018, it is a good time to include matters like protecting your finances, being financially free and getting rid of debt woes, according to Matthys Potgieter, spokesperson and debt expert at DebtSafe. It’s easy to miss the small and ad hoc bills that all add up. However, if you calculate and pin down your expenses on a budget sheet, you’ll know exactly what your actual spend per month is and what you can save. This will also help you draw up an accurate budget that truly reflects income and expenditure, so that you can prevent accidental budget overspending. Do you know what your current credit profile looks like? You can download your record once a year for free. Visit the websites of TransUnion, XDS or Experian. It is always good to know that your credit record is in check. Be alert and make sure there’s nothing fishy going on with your credit score. If you see something suspicious, sort it out right away by getting in contact with the relevant credit bureaus. You are responsible for your debt and finance management. If you are not going to control your spending splurges, nobody else will. Don’t be a blame-shifter. Instead, do the necessary research and compare rates and costs from different credit providers to see if you can afford a loan(s) or item(s) before applying for any credit. It is about time that you read up on the National Credit Act and regulations, the National Credit Regulator, the Consumer Tribunal and what alternative dispute resolution agents (like the credit bureaus, debt counsellors, the ombudsman for banking services or the credit information ombudsman) involve. You won’t just broaden your consumer rights knowledge, but you’ll also create a money-savvy culture for yourself by being a financially clued-up person. Use the avalanche method, where you pay off your debt with the highest interest rate first – like your credit card. Debt obviously has a negative connotation, so how are you supposed to “protect your debt”? Life happens and you must therefore protect what is most important to you. You don’t want to leave your loved ones with a debt mess, do you? Make sure you have credit-linked insurance to take care of yourself and your loved ones when unpredicted (or in some cases predictable) things happen like temporary or permanent disability, retrenchment and maternity leave as well as death. Talk to your financial adviser or banker, and get their feedback and support. FIN-24: Steinhoff’s share price collapse has knocked about 1% off the annual returns of typical Sanlam investors, the Cape Town-based financial services group said in a market announcement. The share price of the embattled global furniture retailer [JSE:SNH] has dropped over 90% this month, after its CEO Markus Jooste abruptly resigned and it announced that PwC was investigating “accounting irregularities requiring further investigation” in its books. The Stellenbosch-headquartered group’s 2017 audited results are on hold, and it has warned investors to not rely on the figures contained in its 2016 results. Steinhoff is now facing at least seven different probes in Europe and South Africa, as well as a number of possible investor lawsuits. Sanlam said that in a “typical balanced portfolio” of an investor, Steinhoff exposure would have accounted for approximately 1.1% of the portfolio assets on 1 December 2017. At the time Steinhoff shares were changing hands at about R55 a share. At 12:40 on Wednesday, shares were trading at R4.61, down 1.5% from their previous close. Sanlam said the steep share price decline would cut the returns of typical shareholders by about 1%. Investors who held a larger Steinhoff weighting in their portfolios would be worse affected. “The negative impact on the return of a South African Swix Equity index fund would be approximately 2.1%,” it said. Steinhoff was for years seen as an integral part of many SA share portfolios. Once in the top 10 of the JSE by market capitalisation, the “Ikea of Africa” now risks dropping off the list of the top 100 biggest JSE companies altogether. Cape Town – The rand strengthened more than 3% to trade under R13.10 to the US dollar amid optimism that Deputy President Cyril Ramaphosa would be victorious in the race for ANC president. By 23:59 in New York trade the local unit was trading 3.08% firmer at R13.09 to the greenback from an intraday low of R13.52 and an overnight close of R13.50/$. The campaign of Ramaphosa’s strongest opponent Nkosazana Dlamini-Zuma was dealt a triple blow when courts in Bloemfontein (Free State), Pietermaritzburg (KwaZulu-Natal) and the Bonjala region (North West) ruled against branches in those regions. All the decisions come on the eve of the start of the ANC’s national elective conference on Saturday and the vote for party leader on Sunday evening. “There is a general optimism in the market that Cyril Ramaphosa is looking like the likely winner of the ANC conference, this after the court decisions about North West and KZN that seem to have dealt a blow for the Nkosazana Dlamini-Zuma campaign,” said TreasuryOne currency dealer Wichard Cilliers. “We are still of the opinion that it is too close to call and either party can still win the conference,” he told Fin24 by email. News24 reports that the Free State High Court in Bloemfontein barred several branches from attending the national elective conference after the court nullified the party’s provincial conference. In Pietermaritzburg, the KwaZulu-Natal High Court granted an application for leave to appeal, brought by the provincial executive committee (PEC) of the ANC, which is led by chairperson Sihle Zikalala. However, Judge Rishi Seegobin effectively ruled that the PEC would remain dissolved, pending the outcome of the appeal to the Supreme Court of Appeal and any subsequent appeal to the Constitutional Court. This means that the PEC, which supports Dlamini-Zuma, will lose its 27 voting rights allocated to each province for the ANC’s national elective conference. Meanwhile, in North West disgruntled ANC members won their court challenge to have the Bojanala regional conference nullified. The group went to court asking for an order to set aside the 40-branch general meeting and to nullify the regional conference held on September 24. The rand strengthened more than 1.8% on Friday to below R13.30 to the US dollar amid optimism that Deputy President Cyril Ramaphosa would be victorious in the race for ANC president. By 16:38 the local unit was trading at R13.26 to the greenback from an intraday low of R13.52 and an overnight close of R13.50/$.